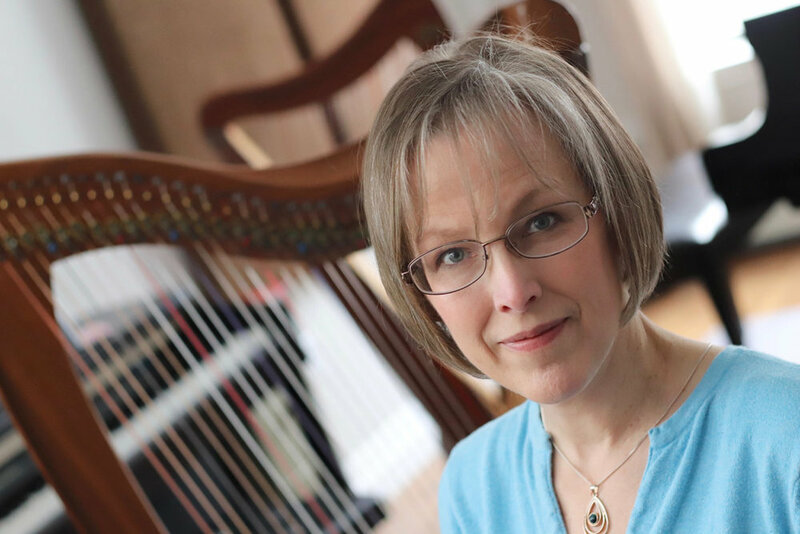 My name is Anne Crosby Gaudet, I am a private piano and harp teacher, composer, independent publisher and harp therapist from Bedford, Nova Scotia. I am passionate about creative teaching and lifelong learning. I received my training at the University of Michigan, graduating with a Masters degree in Piano Performance and Pedagogy. As a recipient of the Baldwin Fellowship for excellence in piano teaching, I launched my private piano studio in the early 1990s. Over the years I have worked with hundreds of students to nurture a sense of creativity and playfulness for learning music. Early in my teaching career I began composing music for my students. You will find my piano solos in the Royal Conservatory of Music Celebration Series and examination syllabus. I am devoted to composing and arranging music for both piano and harp. The Music Discoveries Shop is where you will find my piano music for children, expressive harp solos and creative teaching resources. Though my classical training is at the piano, I studied the harp as an adult. I am a Certified Clinical Musician and have played hundreds of hours for patients in long term care facilities. Anne Crosby Gaudet's Music Discoveries Studio is located in the Papermill Lake area of Bedford, Nova Scotia. Located in her home, the large, relaxing space is equipped with a beautiful Yamaha baby grand piano, a Yamaha Clavinova digital piano, several harps plus an extensive library of music books and teaching aids. Music Discoveries Studio is within walking distance of Bedford South, Bedford Academy, Basinview Elementary and CPA High School. Parents enjoy the trails along Papermill Lake and a stop for coffee at Tim Horton's or The Nook while children are having lessons. Music Discoveries is an independent home-based private studio. We have a beautiful, relaxing space for piano and harp lessons. My piano students enjoy playing the Yamaha baby grand piano. This quality instrument encourages students to listen and develop proper technique. We also use the Yamaha Clavinova digital piano, which is fun for adding backing tracks and creative sounds. 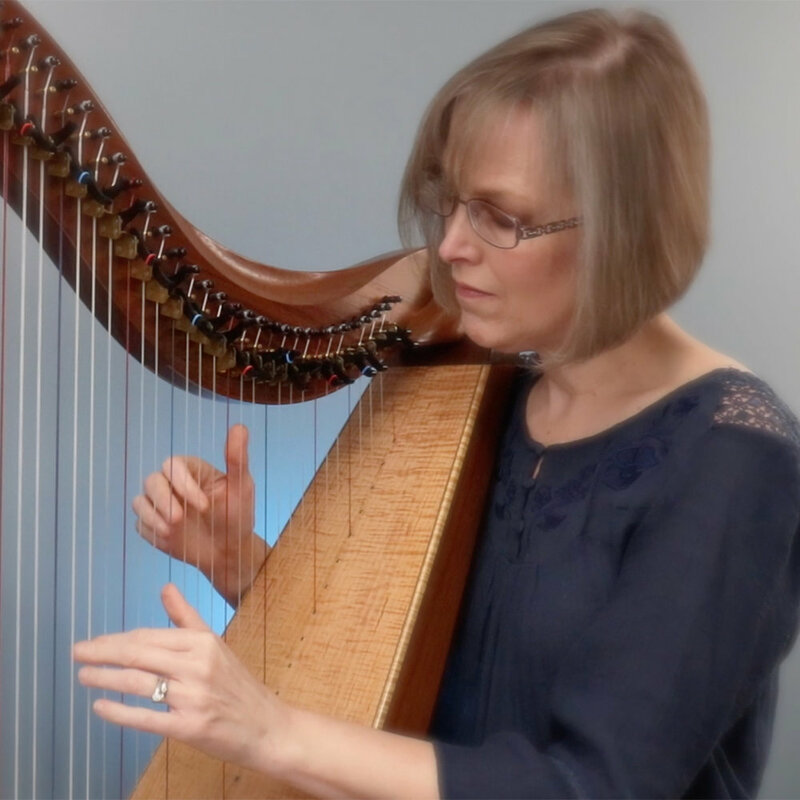 My private harp students choose between playing the Dusty Strings FH36S or the Timothy Llyr celtic harp. Both are beautiful, professional instruments. I also have a Dusty Strings 26-string Allegro for students who would like to rent a harp for home practice. My studio is well-equipped for online harp lessons using Zoom. This is a great solution for students who are unable to travel to my studio. Regular weekly lessons or occasional coaching sessions are now available.